Boy, originally uploaded by Lukasmummy. Credits: Layered template (Template 38) by Fran B, Texture Tuesday Week 7 and P365 Basics Date Strips Kraft by Jewel Goodwin (Mad Genius Designs) and Mister by Jewel Goodwin (mad Genius Designs and Amanda Krueger (Nibbles Skribbles). Fonts are MTF Peach Cobbler by Miss Tiina and Century. Journalling reads: I absolutely love these photos of you Lukas, because they capture you so perfectly. Dressed head to toe in your favourite John Cena clothing, with your hat always pulled down to far on your head. You were peeking out at me from under the peak, fidgeting and unable to sit still and always with that cheeky little smile across your face. I love you so very much my beautiful and sweet little boy. 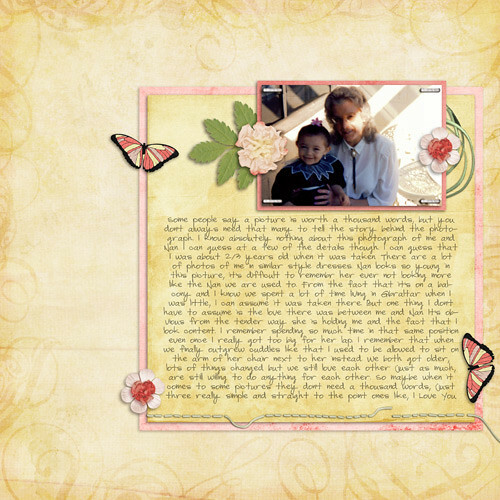 Enabling: Template available as part of the iNSD Scrap-A-Thon Template challenge at Scrap Matters here, P365 Basics Date Strips Kraft by Mad Genius Designs is available here and Mister by Mad Genius Designs and Nibbles Skribbles available here and here. Font can be downloaded here. Playing In The Snow 2, originally uploaded by Lukasmummy. 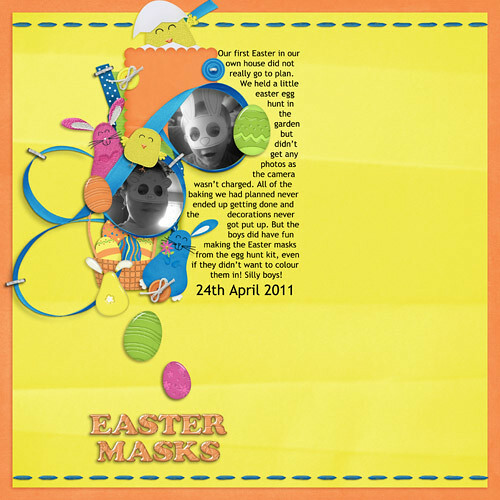 Credits: Layered template (Adventure 365, Template 10) and Brrr both by Jewel Goodwin (Mad Genius Designs). Font is MTF Becki by Miss Tiina. 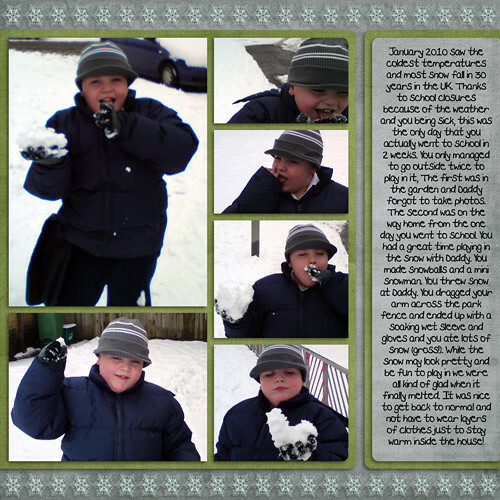 Journalling reads: January 2010 saw the coldest temperatures and most snow fall in 30 years in the UK. Thanks to school closures because of the weather and you being sick, this was the only day that you actually went to school in 2 weeks. You only managed to go outside twice to play in it, The first was in the garden and Daddy forgot to take photos. The second was on the way home from the one day you went to school. You had a great time playing in the snow with Daddy. You made snowballs and a mini snowman. You threw snow at Daddy. You dragged your arm across the park fence and ended up with a soaking wet sleeve and gloves and you ate lots of snow (gross!). While the snow may look pretty and be fun to play in we were all kind of glad when it finally melted. It was nice to get back to normal and not have to wear layers of clothes just to stay warm inside the house! Playing In The Snow 1, originally uploaded by Lukasmummy. 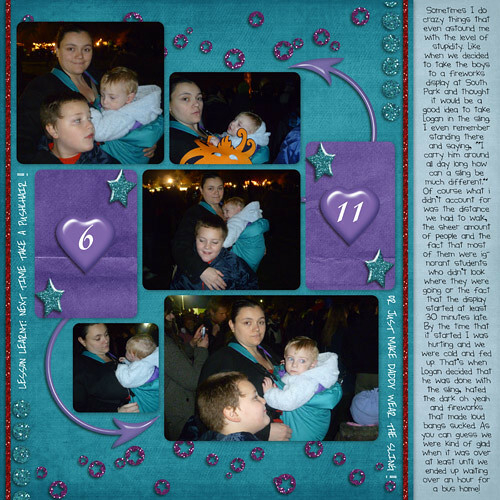 Credits: Layered template (Adventure 365, Template 4), Brrr and P365 Basics Date Strips White all by Jewel Goodwin (Mad Genius Designs). 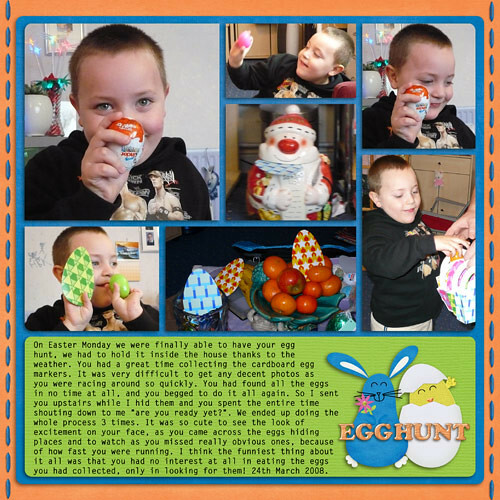 Enabling: Adventure 365 Template 4 can be found in this set, P365 Basics Date Strips are available here and Brrr is available here (I linked you to the bundle since it’s on sale! 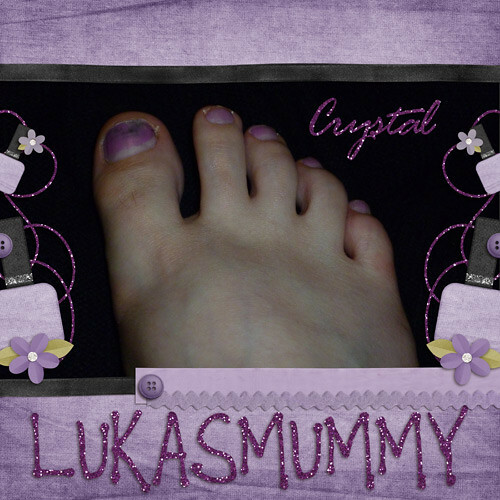 Lukasmummy Avatar, originally uploaded by Lukasmummy. Credits: Layered template (March Template Challenge) by Elizabeth Albers (Scrapping With Liz), Be Polished by Laura White (C.W Picket & Company) and Adventure 365 February Glitter Styles by Jewel Goodwin (Mad Genius Designs). 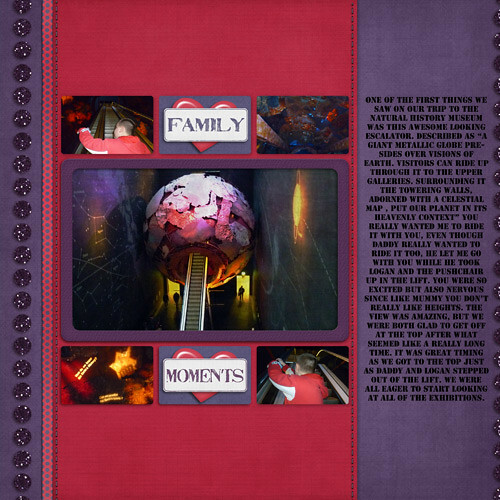 Fonts are Rage Italic LET and Pea Hunzer by Amanda Bottoms (Fonts For Peas). 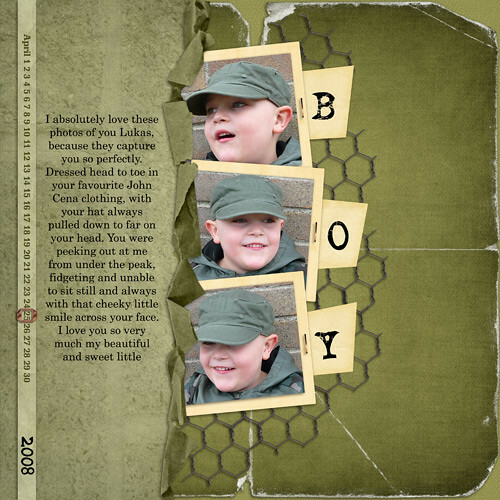 Enabling: Layered template was for a previous challenge unsure if it’s still available, Be Polished by C.W Picket & Company is available here and Adventure 365 February Glitter by Mad Genius Designs is available here. Mummy + Sling = Stupid, originally uploaded by Lukasmummy. Credits: Layered template (Adventure 365, Template 3) and Adventure 365 February (slightly recoloured) and Adventure 365 February Glitters all by Jewel Goodwin (Mad Genius Designs). Fonts are Pea Times New Camileon and Pea Tiphanie both by Amanda Bottoms (Fonts or Peas). Black Journalling reads: Sometimes I do crazy things that even astound me with the level of stupidity. Like when we decided to take the boys to a fireworks display at South Park and thought it would be a good idea to take Logan in the sling. I even remember standing there and saying, “I carry him around all day long how can a sling be much different.” Of course what i didn’t account for was the distance we had to walk, the sheer amount of people and the fact that most of them were ignorant students who didn’t look where they were going or the fact that the display started at least 30 minutes late.. By the time that it started I was hurting and we were cold and fed up. That’s when Logan decided that he was done with the sling, hated the dark oh yeah and fireworks that made loud bangs sucked. As you can guess we were kind of glad when it was over at least until we ended up waiting over an hour for a bus home! White Journalling reads: LESSON LEARNT: NEXT TIME TAKE A PUSHCHAIR !! OR JUST MAKE DADDY WEAR THE SLING !! Enabling: Adventure 365 Template 3 by Mad Genius Designs is available in this set and Adventure 365 February and Adventure 365 February Glitter by Mad Genius Designs are available here and here. Going Up, originally uploaded by Lukasmummy. Credits: Layered template (Adventure 365, Week 2 Template), Adventure 365 January Kit, Adventure 365 January Glitter and Texture Tuesday Week 1 all by Jewel Goodwin (Mad Genius Designs). Font is Stencil Std. Journalling reads: One of the first things we saw on our trip to the Natural History Museum was this awesome looking escalator. Described as “A giant metallic globe presides over Visions of Earth. Visitors can ride up through it to the upper galleries. Surrounding it the towering walls, adorned with a celestial map , put our planet in its heavenly context” You really wanted me to ride it with you, even though Daddy really wanted to ride it too, he let me go with you while he took Logan and the pushchair up in the lift. You were so excited but also nervous since like mummy you don’t really like heights. The view was amazing, but we were both glad to get off at the top after what seemed like a really long time. It was great timing as we got to the top just as Daddy and Logan stepped out of the lift. We were all eager to start looking at all of the exhibitions. Secret Smile, originally uploaded by Lukasmummy. Credits: Layered template (Tuesday Template, 8th February 2011) by Tracy Anderson (Trixie Scraps) and Adventure 365 January by Jewel Goodwin (Mad Genius Designs). Font is Travelling Typewriter. Journalling reads: I adore this picture of you it looks like you are laughing at a private joke or maybe just filling your pants.